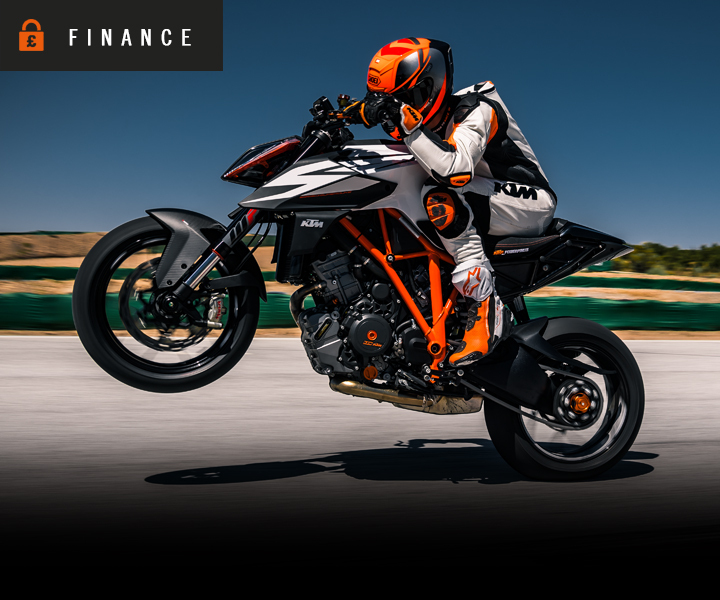 KTM Finance now makes it easier than ever to own a new KTM model in 2019 with a range of finance packages designed especially for you and available across the KTM Street range. 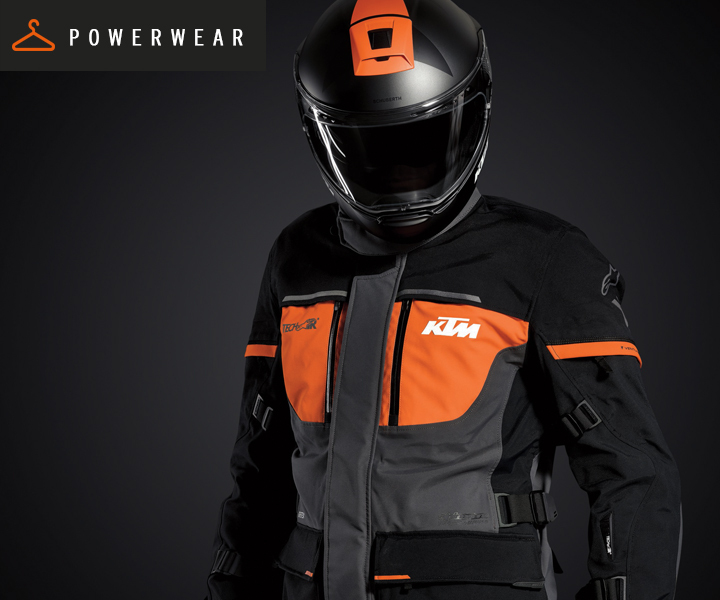 Going from strength-to-strength at maximum rpm, Europe's No.1 motorcycle manufacturer has recently launched the KTM 790 ADVENTURE and KTM 790 ADVENTURE R. Powered by a 2-cylinder, 4-stroke, parallel twin these machines are as happy on the street as they are off road. 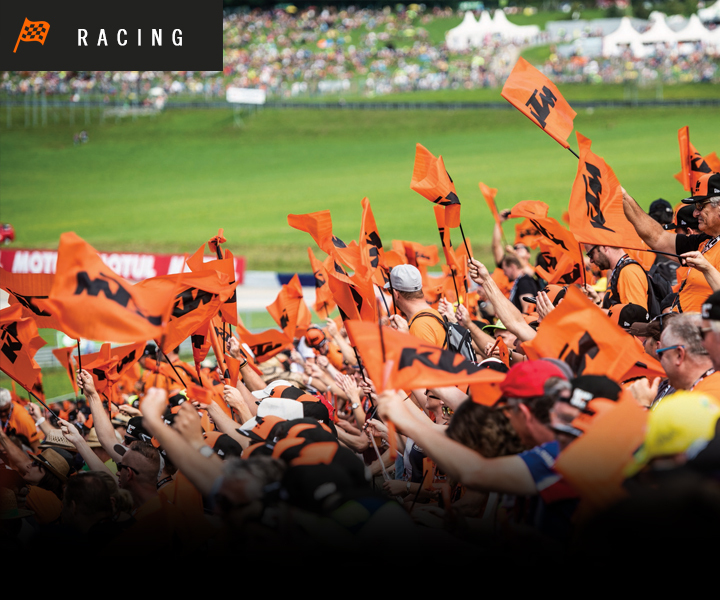 With KTM Finance you too could be experiencing the best of both worlds. All new KTM Street models benefit from a two-year unlimited mileage warranty and a free mobility guarantee from the RAC. £3982.50 £831.19 £1609.69 £5280.19 2500 14.9p per mile 37 months 9.9% APR 5.09% p.a. RC 390 36 £99.00 £5249.00 £728.00 £4521.00 £955.50 £1912.50 £6204.50 2500 14.9p per mile 37 months 9.9% APR 5.09% p.a. 125 Duke 48 £59.00 £4249.00 £427.00 £3822.00 £529.38 £1519.38 £4778.38 2500 14.9p per mile 49 months 4.9% APR* 2.52% p.a. £4326.50 £889.69 £1652.19 £5638.69 2500 14.9p per mile 37 months 9.9% APR 5.09% p.a. 690 Duke 36 £119.00 £8299.00 £2017.50 £6281.50 £1434.38 £3431.88 £9733.38 5000 14.9p per mile 37 months 9.9% APR 5.09% p.a. 790 Duke 48 £89.00 £8799.00 £1929.50 £6869.50 £1036.25 £3633.75 £9835.25 5000 14.9p per mile 49 months 4.9% APR* 2.52% p.a. 790 Duke L 36 £119.00 £8799.00 £2164.20 £6634.80 £1553.89 £3904.69 £10352.89 5000 14.9p per mile 37 months 9.9% APR 5.09% p.a. 1290 Super Duke R 36 £199.00 £14799.00 £3498.00 £11301.00 £2668.31 £6805.31 £17467.31 5000 14.9p per mile 37 months 9.9% APR 5.09% p.a. 1290 Super Duke GT 36 £259.00 £16799.00 £3993.50 £12805.50 £2829.75 £6311.25 £19628.75 5000 14.9p per mile 37 months 9.9% APR 5.09% p.a. 690 SMC R 36 £139.00 £9599.00 £2371.50 £7227.50 £1638.69 £3862.19 £11237.69 5000 14.9p per mile 37 months 9.9% APR 5.09% p.a. 690 Enduro R 36 £139.00 £9599.00 £2566.00 £7033.00 £1572.88 £3601.88 £11171.88 5000 14.9p per mile 37 months 9.9% APR 5.09% p.a. 790 Adventure 36 £159.00 £11099.00 £2619.50 £8479.50 £1946.06 £4701.56 £13045.06 5000 14.9p per mile 37 months 9.9% APR 5.09% p.a. 790 Adventure R 36 £169.00 £11199.00 £2842.00 £9157.00 £2117.31 £5190.31 £14116.31 5000 14.9p per mile 37 months 9.9% APR 5.09% p.a. 1290 Super Adventure S 48 £149.00 £15199.00 £3651.00 £11548.00 £1745.25 £6141.25 £16944.25 5000 14.9p per mile 49 months 4.9% APR* 2.52% p.a. 1290 Super Adventure R 48 £149.00 £15399.00 £3693.80 £11705.20 £1779.30 £6332.50 £17178.30 5000 14.9p per mile 49 months 4.9% APR* 2.52% p.a. Finance subject to status. Deposit shown may be higher than the minimum; a lower deposit will result in increased monthly payments. Terms and conditions apply. Applicants must be 18 or over. Guarantees/Indemnities may be required. KTM Finance RH1 1SR. *2.9% Conditional Sale and 4.9% PCP offers end 30/04/2019. Pricing updated 4th April 2019.